Everywhere you look at the moment there are numerous Christmas gift guides, from software to hardware, tools and trinkets, things to eat, drink, watch or listen to. Oh, and everything in between. It is the time of year for it after all. Writing a gift guide that doubles as a wishlist (Wishguide? ), there is always a chance someone close to me may read it and … I think you get the idea. Why create a list if I can’t cross off a few items for myself along the way? A difficult category to easily slot products into, however a check of my Goodreads “To Read” bookshelf reveals a couple of titles. Part memoir, part master class by one of the bestselling authors of all time, this superb volume is a revealing and practical view of the writer’s craft, comprising the basic tools of the trade every writer must have. 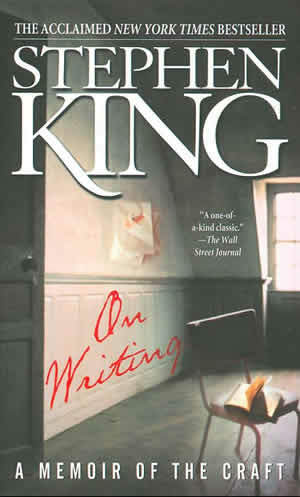 King’s advice is grounded in his vivid memories from childhood through his emergence as a writer, from his struggling early career to his widely reported near-fatal accident in 1999 – and how the inextricable link between writing and living spurred his recovery. Brilliantly structured, friendly and inspiring, “On Writing” will empower and entertain everyone who reads it – fans, writers, and anyone who loves a great story well told. 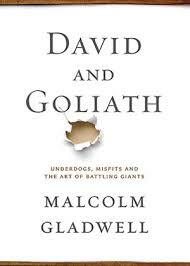 David and Goliath draws on the stories of remarkable underdogs, history, science, psychology and on Malcolm Gladwell’s unparalleled ability to make the connections others miss. It’s a brilliant, illuminating book that overturns conventional thinking about power and advantage. There are any number of things I could list here, however the focus is on my system for tracking tasks and projects. 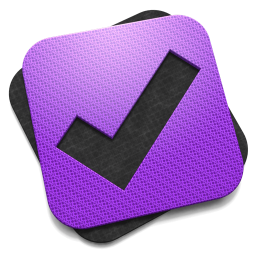 Omnifocus is the ultimate App for personal productivity and task management. I have been using Omnifocus for both iPhone and iPad over the past year or so without the “Godfather” – that is, Omnifocus for Mac. The overall App count on our new Mac mini is slowly building (especially after the recent Black Friday App store sales), however at $84.99 AUD, Omnifocus for Mac is a significant investment that will certainly be made – I simply haven’t done so yet. What I believe would be the perfect companion to the above recommendation comes from Aaron and Thanh at Asian Efficiency. Honestly, with the exception of reading Getting Things Done by David Allen, you need look no further for some fantastic advice on productivity in general, and more specifically, Omnifocus. 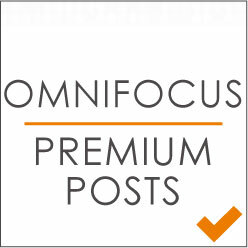 The resources (most of which are completely free) these guys have put together to improve how you use Omnifocus are superb. Access to the Premium Posts which includes bonus content can be purchased for $67.00 through the Asian Efficiency Store. Why a hand grinder? 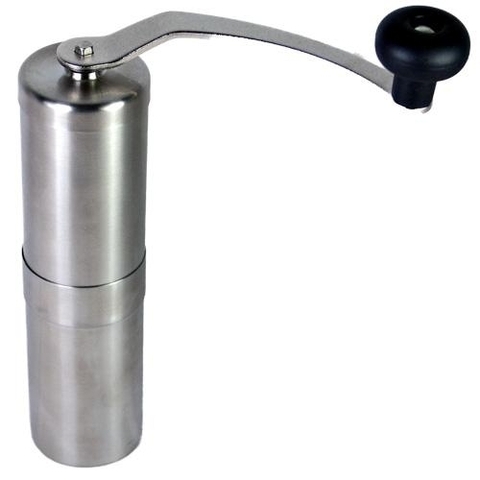 Apart from the obvious convenience when used for travel, I plan on purchasing a hand grinder to use when brewing single origin coffees at home. Much of my brewing is done with the Hario V60, and I often use this in the evenings, with the electric grinder not a great option when some in the household are asleep. I have also researched a little into the Hario Skerton model as well, however a couple of reviews seem to suggest the Porlex may shade the Hario in performance. Another plus being the Porlex is sold through my green bean supplier Ministry Grounds, and it may not be too difficult to accidentally click “add to cart” at some point in one my future orders. As I mentioned above, much of my home coffee brewing these days is done with the V60, requiring a fairly accurate ratio of water to coffee, as determined by weight. Although the digital scales I currently use are adequate, there is one major problem in that the auto-off interval is too short. Not so great when aiming for a specific target weight to have the scales go blank and obviously reset to zero when turned back on. I have managed to get around this by constantly pressing and releasing the scales in between pours to keep them “active”, however this is obviously less than ideal. 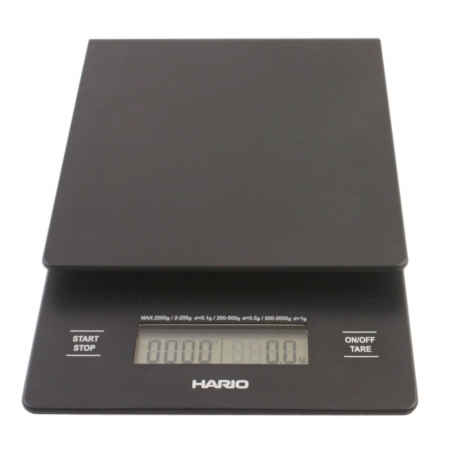 The inbuilt timer on the Hario model will also come in very handy. A fountain pen was always going to make this list. For years I have used my faithful Mont Blanc Meisterstuck, however given its value (both sentimental and material), I have always been a little nervous carrying and using it as an everyday pen. Obviously my preference for an everyday pen still runs towards something I enjoy using, which is likely to be a fountain pen. 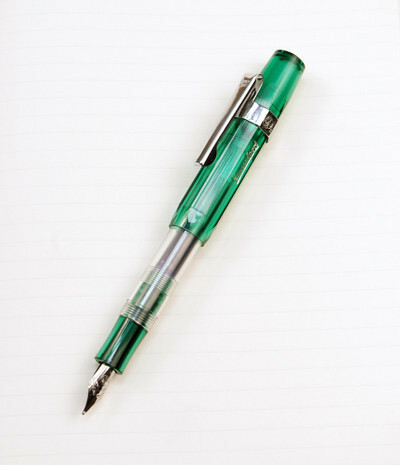 The choice here, a Kaweco Ice Sport in green. Something that is great value for money, has excellent build quality, and in my opinion looks pretty good too. At this price point, my mind would be at ease including this in my everyday carry. For many years I have relied on the Mont Blanc Black and Blue-Black inks in my fountain pen. In recent times this pen has been increasingly used for reviewing and marking up documents, where a different colour is useful to easily see any markings or notations on the page (standard white copy paper with black text). Why not go bright with a colour that will really stand out! 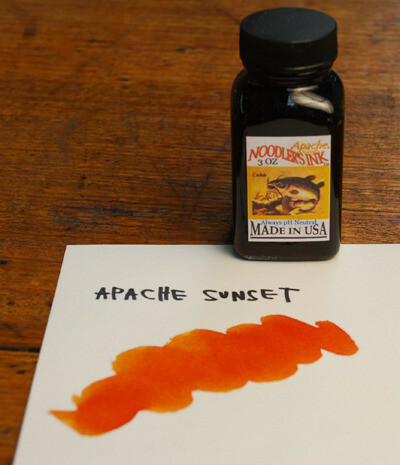 This particular Noodlers Ink is a brilliant, rich orange – somehow I don’t think it will be hard to see my notes written in Apache Sunset. 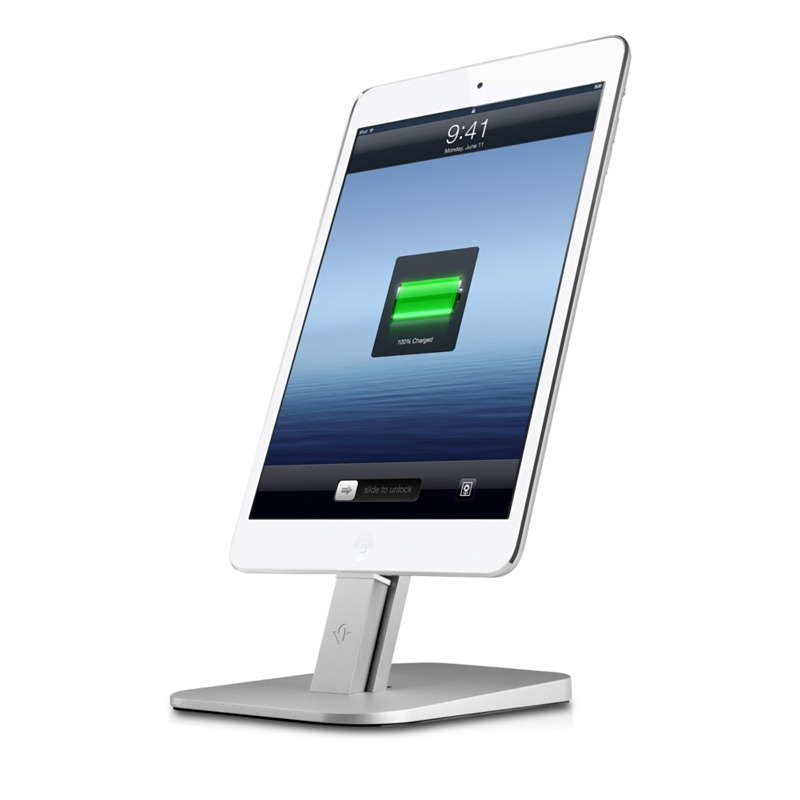 Twelve South produce high quality accessories for Apple products, and are available in the Apple Stores or on-line. This particular stand, which requires a small amount of assembly, accommodates a Lightning charger and is adjustable to allow for having a case on your iPhone or iPad. This is a stylish way of lifting the device up off the desk – very handy for using my iPad mini as a second screen whilst sitting at my Mac, and makes a perfect hands-free face time accessory. This one is a bolt from the blue. 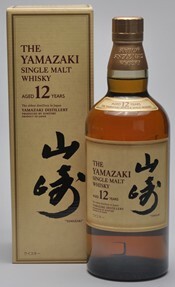 I am certainly no expert on golden liquid of the single malt variety, however scotch has always been my drink of choice – to the tune of relaxing with one or two on weekends my maximum intake. The taste? Described as initially dry and herbal, becoming fruitier with smoke. According to this article in Gear Patrol, I may be onto a good thing. Cheers! That concludes the Gift Guide / Wishlist for this year, and provides a little more insight into my interests and spare time pursuits. If there is nothing specifically on the list that interests you, hopefully it has at least provided a few areas to look into for similar products closer to the mark. Most of all, best wishes to you, valuable reader. I truly appreciate the time you take to come and read these posts. Merry Christmas and a safe and happy New Year to you and your family.